Grand Theft Auto: Dubai Islands brings some of the most recognizable buildings from the Middle East and beyond to the game Grand Theft Auto V! 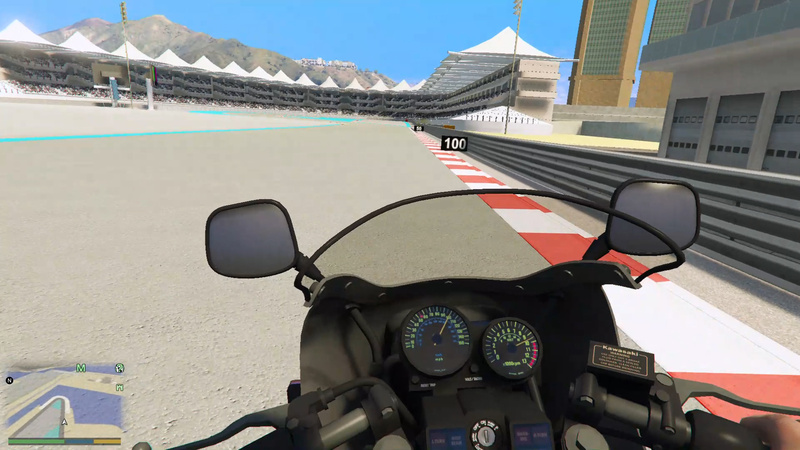 This mod contains multiple islands including a Palm Jumeirah replica, an airport and even the Yas Marina Formula 1 circuit from Abu Dhabi! 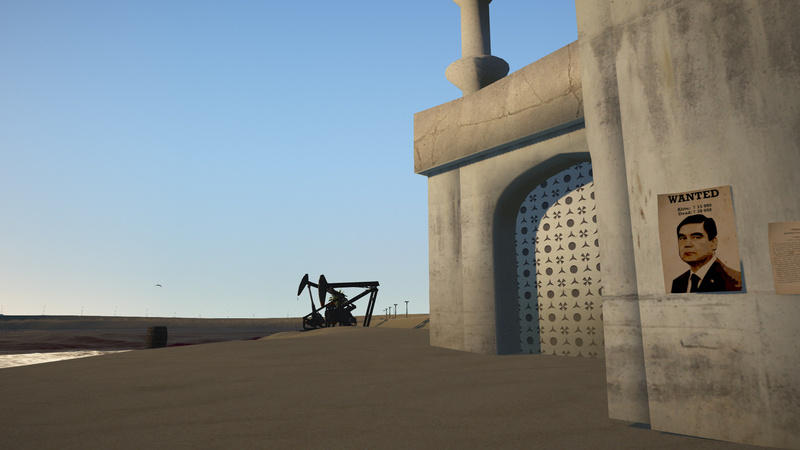 - Added more random props, and bridges between the islands. 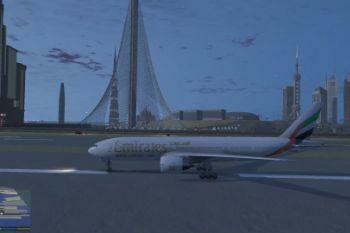 - Dubai International Airport replica added. - Some new buildings: London One Canada Square (not really Middle East but still good looking), a random large building. 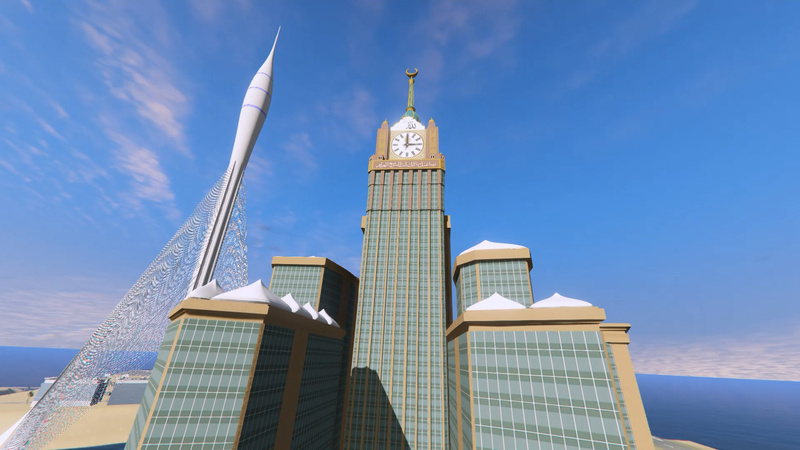 - The 1$ VIP version will have an added Abraj Al Bait Meccah Royal Clock Tower (interior with Kaaba) and the planned Dubai Creek Tower (height 1300 meter). 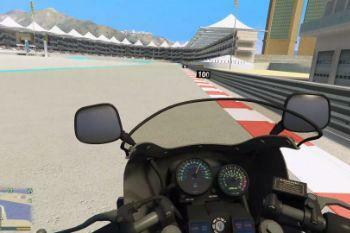 - Deleted unnecessary collision files for better performance and reducing crashes. - Reducing some unnessecarily large 4K textures and replaced them by 2K textures without ingame visible quality loss. 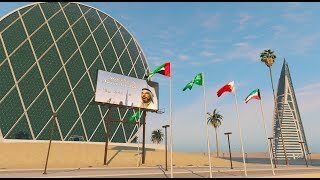 - Re-importing Bahrain World Trade Center without z-fighting faces, with reduced polygons for better performance and less irritating 'flashing textures'. - Editing and improving shaders and textures on some buildings for less problems with strange colored glass glitches. - Editing normal directions on some buildings for a visible better quality, without strange lines and shadow glitches. 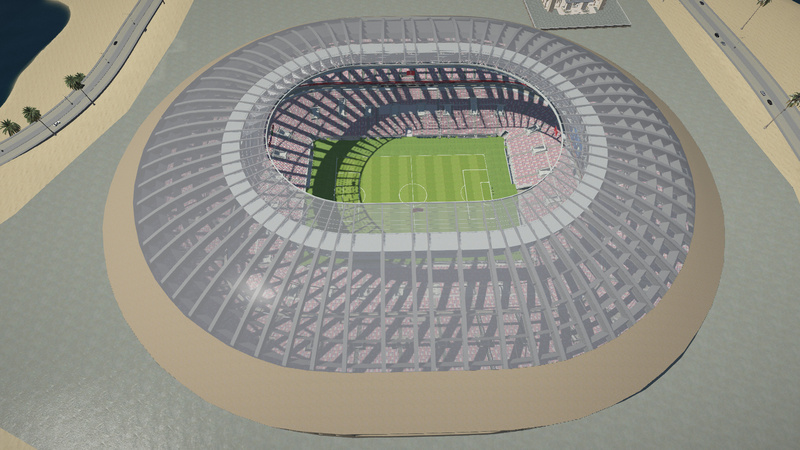 - Added lights in Luzhniki Moscow World Cup 2018 stadium, which will light up at night. 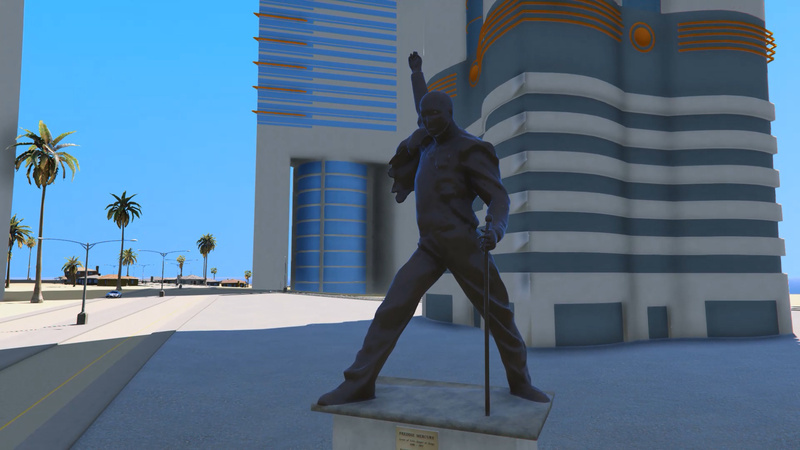 - Added a Freddie Mercury Statue inspired on the one in Montreux, Switzerland. 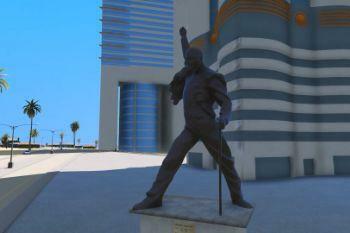 Located near Dubai Emirates Towers and Rose Tower. 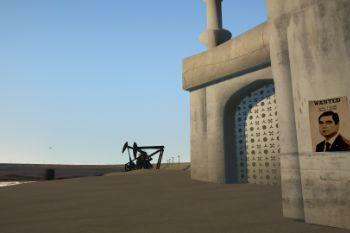 - Some buildings now have LOD versions, which will reduce possible lag and the game will have less chance to suffer from random crashes. 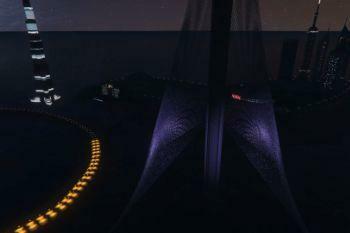 - Adding more traffic paths and correcting existing traffic if possible. 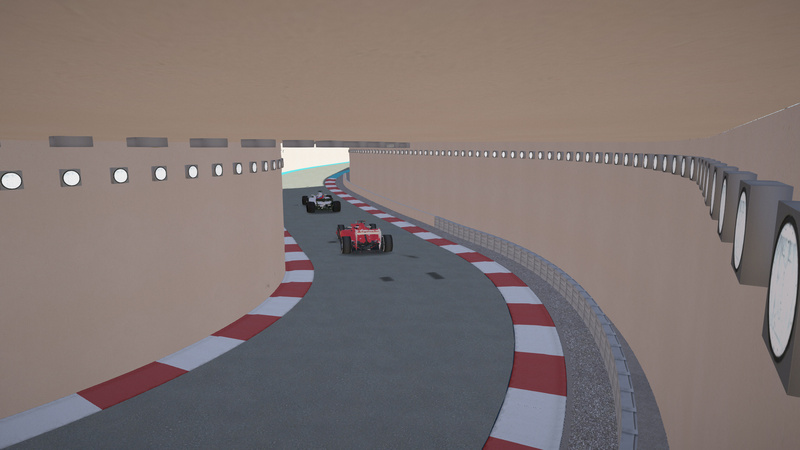 - Making LOD versions on more buildings to reduce crashes for some users. 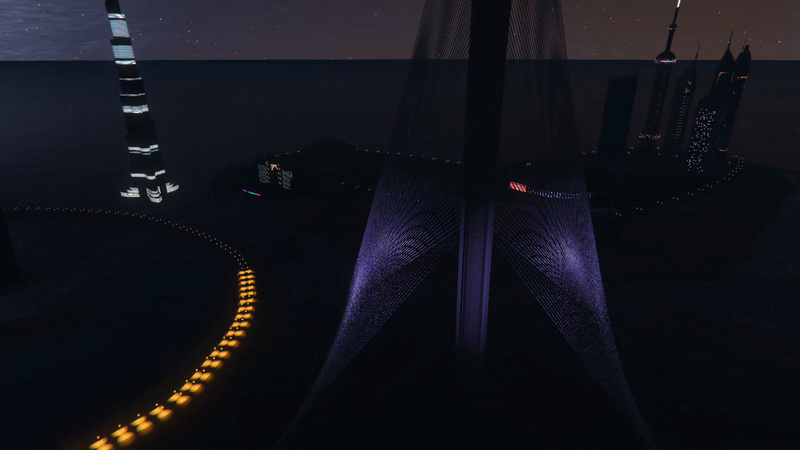 IF YOU WANT THE TRAFFIC PATHS TO WORK BETTER, YOU MAY NEED TO DOWNLOAD THE 'NO BOUNDARY LIMITS' MOD. 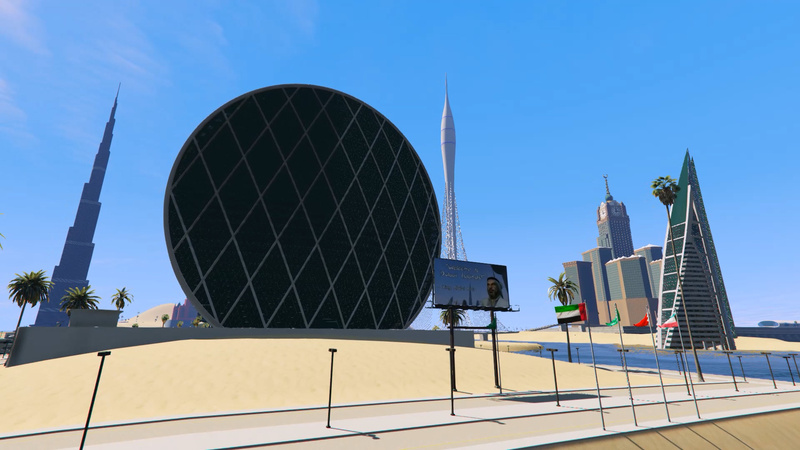 United Arab Emirates: Burj Khalifa, Aldar Headquarters, Jumeirah Emirates Towers, Rose Tower, Atlantis Hotel, Dubai Airport replica, Dubai Media Centre, Yas Marina F1 Circuit ABU DHABI (Converted from F1 2017). 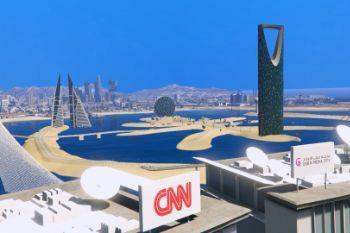 VIP VERSION: Dubai Creek Tower (planned for completion in 2020 in real life). Turkey: Istanbul Blue Mosque of Sultan Ahmet. A random building, random houses, a mosque, 2 small bridges, 2 large bridges and 2 yachts. and neither is Turkey in fact. But I think it's all a great addition to this mod, with an extra touch! 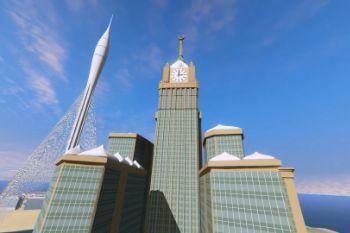 Burj Khalifa is converted from a GTA IV mod by 'Metalwarz'. 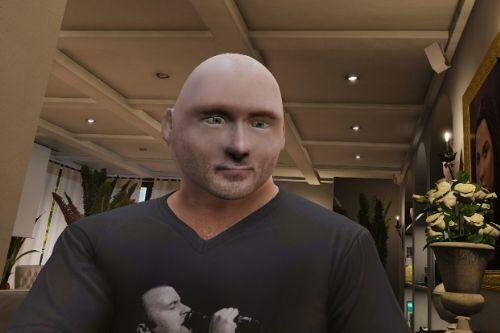 Many many thanks to him for the GTA IV version! 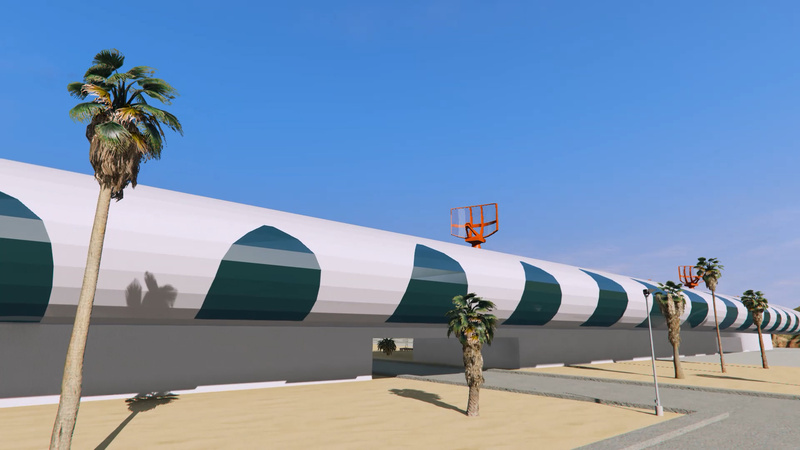 I only converted that one to GTA V.
you should download it from the link provided above, mod by Z@gor. Thanks to him as well! Install the files with OpenIV (http://openiv.com/). there are a lot of good tutorials. 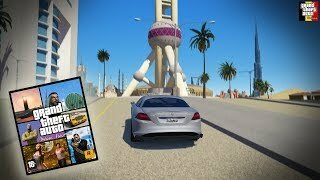 - In update/update.rpf-x64-levels-gta5-paths.rpf add the 2 files in the 'traffic paths' folder in this download. Those are included in the folder 'minimap for Designerappz' 4K Satellite view map' in my .zip file you extracted. Again, many thanks to Designerappz for letting me edit 2 tiles! 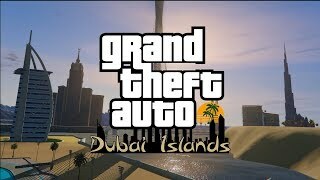 WARNING: The minimap is NOT complete because a large part of the Dubai Islands map is out of GTA 5 standard bounds. 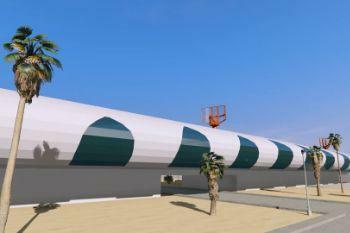 For Z@gor's Burj Al-Arab, you need to install it as an addonprops. 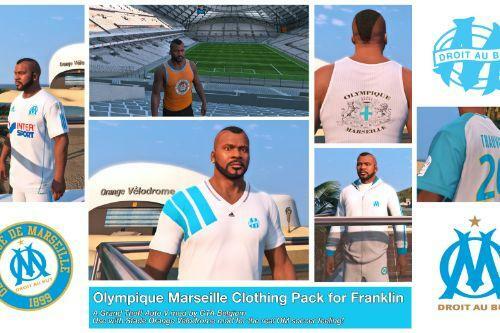 Therefore you will need addonprops mod by Meth0d and quechus13. PLEASE KNOW THAT A GOOD PC IS REQUIRED, AND FPS DROP IS POSSIBLE USING THIS MOD. AND IT'S VERY POSSIBLE A 'NORMAL DECENT' PC WILL NOT BE ENOUGH TO RUN THIS. I am sorry if I could not personally answer you... But hey, I tried to fix the problems with crashes in this version for everyone experiencing problems! 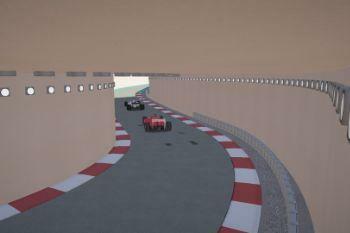 @GTA Belgium Can you do F1 World Mod? 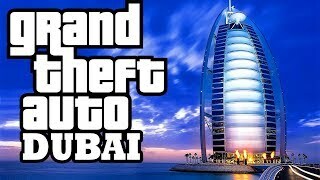 @GTA Belgium Hi bro, I'm a huge fan of your Dubai Map mod. It's brilliant. 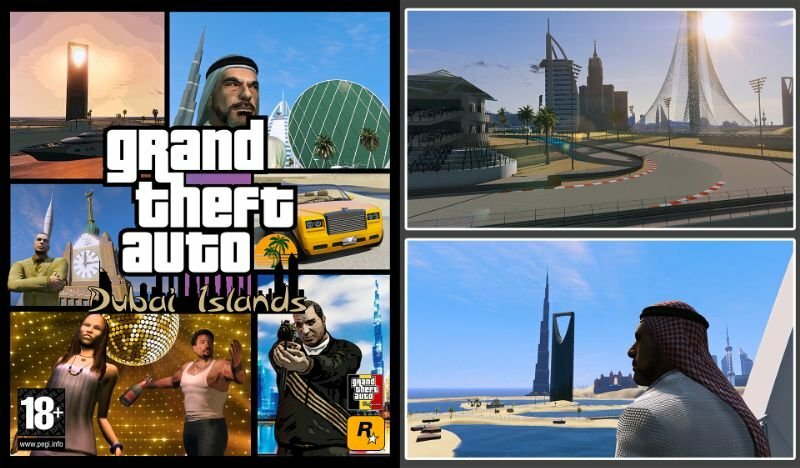 But I just have one request, can you please shift the location of this map to some other place other than the south-west of Los Santos because your map overlaps with ryanm2711's Vice City Map Mod. 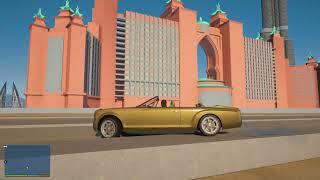 This leads some weird things like Dubai's buildings merging with Vice City's roads. I'm waiting eagerly for your reply. I only think this map is too close the game's original map. 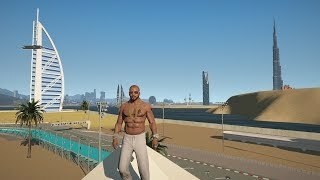 So close, that my yacht from the GTA Online that i use in SinglePlayer Mode, because of it's location, it's undermeath the map's airport. 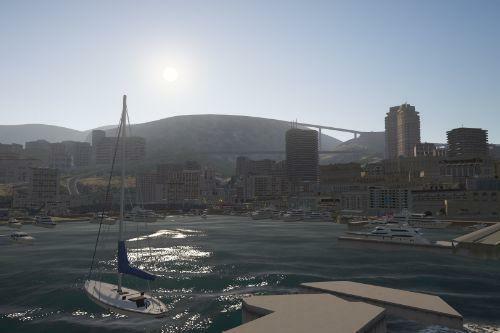 The location from your map is affecting the use of my yacht, and i like it's location because it stays turned to the sea. If i could put it ther on the ocean, but i can't. The Rockstar is made the prefabs of the yacht's interiors around the map already. and put my yacht on the ocean is impossible, because there's no prefabs built over there. 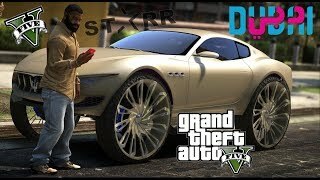 So buddy, if the use of this new version from your map, is now requiring the use of the NoBoundaryLimits mod, i believe if you change the location from your map to some mile away from Los Santos, i think the traffic path is gonna work normally. I know if you messing in the location of the map, it means you gonna have to messing in the traffic path, and maybe, in the satélite minimap, the what is gonna be hard of course. But your map is too close the game's original map, it's affecting the location of my yacht that's undermeath the airport's take off track. And by the way! I'm sorry about my delay in give my answer to you about that yacht that i've promissed to you, to put on your map! The ymap is ready, buddy, with all collisions, and if you still being interested in my help to leave your map more beautiful, i can send it to you. The yacht's location is close the Bahrain Building. If you still being interested at my mod, just leave your email address over here, and i'll send it to you. Those are the main reasons why i would like to keep the map in place. (move the black/red arrow to your location in the sea and check the x-y coordinates). Example: x = -5350.957 ; y = -1782.113; x is from west to east (horizontal on map), y is from south to north (vertical on map). 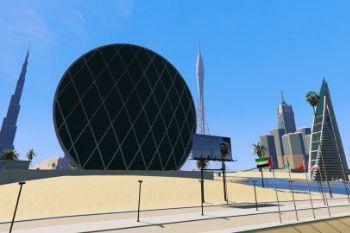 - The standard location where the center of Dubai map is located at the moment, is approximately (x = -2500; y = -1250). You will need to calculate the offset of my location, to your own chosen location. - Download YTools on this website (tool by skylumz). - Use the 'Ymap Mover' on the tool, open my .ymap files from my mod (extract using OpenIV) and enter the offset results you just calculated for x and y, not z, just leave z at 0. - Now import the new ymap files back with OpenIV. 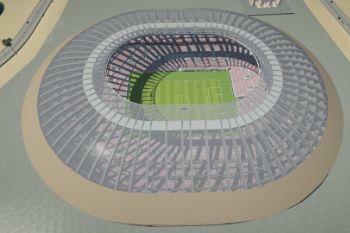 - The models are in place now, let's do the collision using 3dsMax. Import my .ybn files with Openformats .obn method using Gims Evo by 3Doomer. - We need to move the collision mesh files with the offset. When imported, click edit -> select by -> name. Then, in the select by name menu, we need to make sure to only display the 'geometry' and NOT the 'helpers'. So make sure that none of the icons are selected except from the geometry, (which is usually a circle i think). Then, in the same menu, click on the first geometry entity and then hit CTRL + A to select all other geometry entities at once. Hit ok, then right click on one of the selected geometry entities, and click on the small black square next to 'move'. This opens a menu. - Now, just enter the x and y offsets in the Offset:World section. Make sure you don't enter '+' before the number if you have a positive value or it won't work, and if you have a negative value don't forget to include the ' - ' sign before the number, of course. Hit enter, all geometry is now moved. - Then (make sure you still have selected all objects), go to hierarchy menu on the right which is usually the third icon. Click on 'affect pivot only' and move all pivots to x=0,y=0,z=0. You can just put the '0' in the x y z fields all the way down on your screen, but just make sure the icon left of 'x' there, says 'absolute mode transform type-in' before you move the pivots. 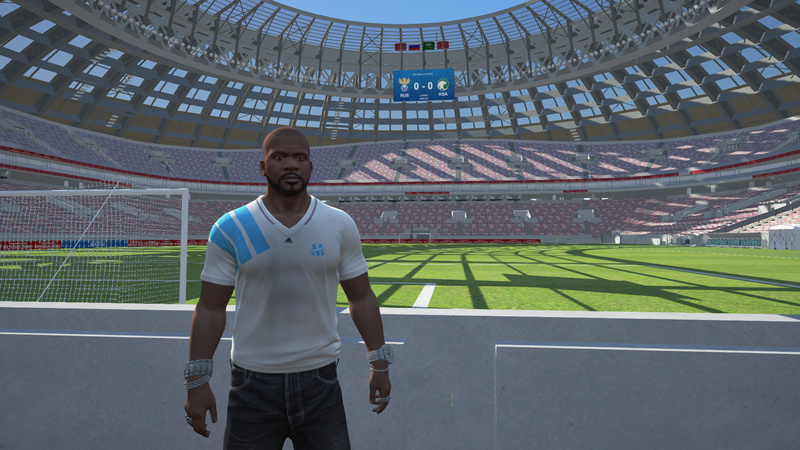 - Now we are ready to export the collisions with Gims Evo, and import then back with OpenIV. - I think that's all, I hope I didn't forget anything. Yes this looks like a lot of work and probably looks like Chinese or Swahili, but if you follow the steps it should work I think. You can always let me know if you have any problems or don't understand. Enjoy! And Thiago, I really appreciate your effort with the yacht! You can send me a private message here and I will take a look, maybe I can include it in the map mod and of course i will credit you. We will see! Nice map,works well and simple to install.Jesus is my Lord and Savior! 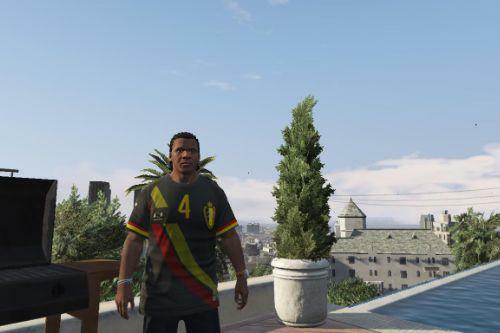 @GTA Belgium Hi! This Dubai Islands mod looks cool and I would love for it to be a part of the game since I am fascinated with the Arabic world and quite a few of its elements. However, I find I cannot use this mod in the game due to constant crashing. The one crash I'm talking about is when I try to switch characters in the Single Player campaign - In the middle of the transition, the game crashes to the desktop. I've tried many things to make the game run like it should and after many long days, I found it was this mod that may have been causing it. When I disabled it, The crash didn't happen anymore and things were running like they should again. I mean no offense when I say thank you for making this mod and I do hope you will address the character swapping crash bug that (I believe) this mod has unintentionally introduced. @M249GR @Sonicfx07 @koko-5 I don't know what is causing those 2 specific problems (both the crash when far away from map and turn back, and the character swap crash). I have never heard of my mod causing those crashes, although the character swap problem is very common when someone has installed a lot of mods, or has a lot of large mods. 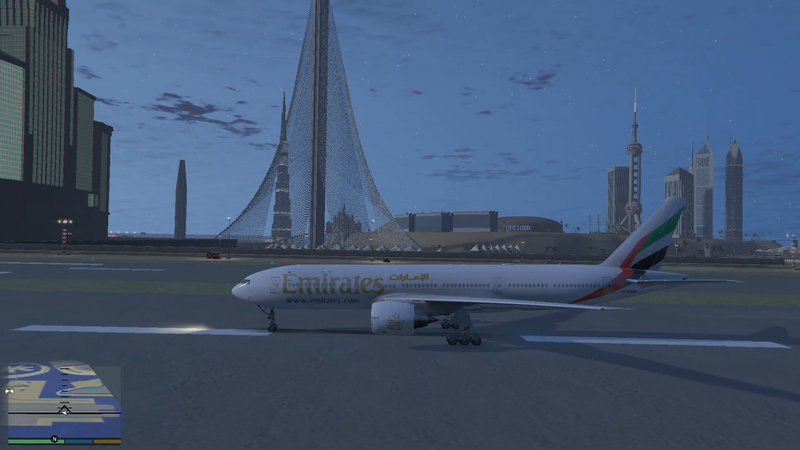 Maybe this Dubai mod is a little too large to handle for your game, I'm not quite sure. 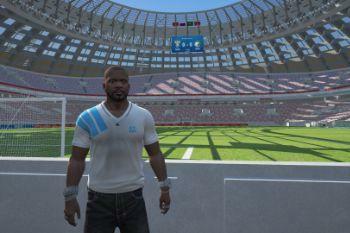 But this character swap problem is not really caused by just my mod files, it has to be something bigger than that. It's possible the amount of 'heap' your game can handle, is too small in your cases for a proper use of large size mods. 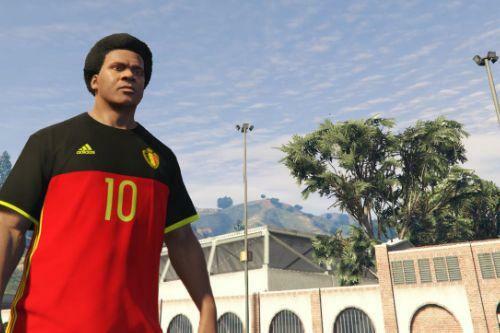 I have a few mods listed here below, you can try to prevent this from happening with using them, but I'm not sure it will be fixed. You can try and let me know :) . 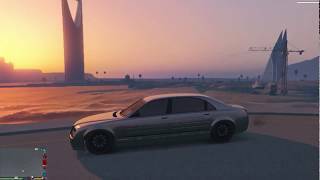 @GTA Belgium still got some random crashes(for example when u try to fast teleport near this area or driving towards this place,like 1 km far just driving and having the camera to this island this happend once ,character swapping not all the time crashes only if im near to this area,its weird even tho i tried all those things provided with the links..just wish that was my hardware's fault that couldnt handle this but its not,im planning an upgrade next year probably but as i see wouldnt get much out of gta V by upgrading my system just some FPS plus nothing more that would help for a heavy modded game its all about the files i think and the way the game have been made with all its limits..do you agree that a really high end pc doesnt matter on those crashes,its all about the files right?